Located within the borders of the Aksu district, 17 kilometers east of Turkey's Antalya province, the ancient city of Perga has been undergoing archaeological excavations since 1946. Due to its unique mosaics, Perga is dubbed as "the second Zeugma" of Turkey, referring to the antique city that hosts the world's biggest mosaic museum in southern Gaziantep province. 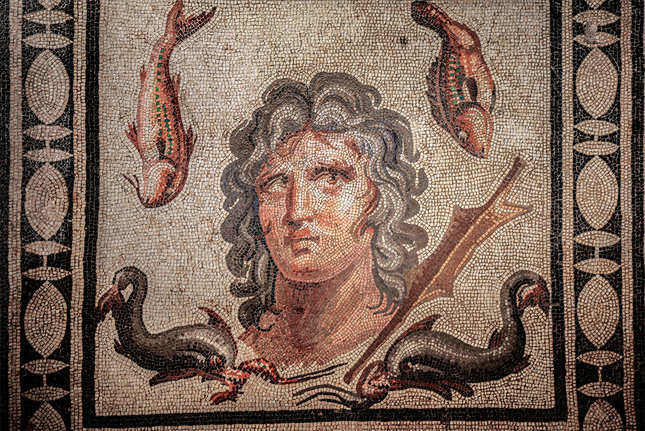 While most of the excavated sculptures and unique artifacts from Perga, which date back to Roman eras, are being displayed in the Antalya Museum, some unique mosaics have not been put on display so far. 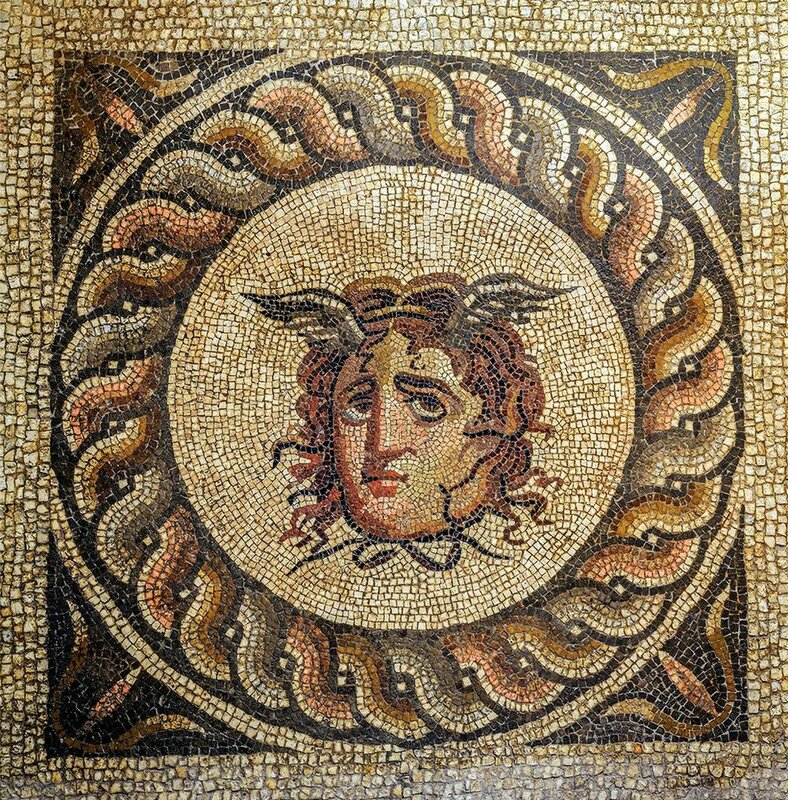 Authorities decided to exhibit some of the unique mosaics which were uncovered in 2003 in the Perga Museum, including mosaics of Greek Titan Oceanus and Medusa. Antalya Antiquities Manager Cemil Karabayram said Governor Münir Karaloğlu visited the site and they had devised a new action plan to promote the area. He said Perge antique remains were the most well-preserved ancient town in the region. The excavation site is protected by round-the-clock security and state-of-the-art security system. He also said the recent focus of the excavation had been the necropolis of the town dating back to third century A.D. "We can describe the two mosaics as the best excavated in Turkey so far in terms of intricate detail and artistry." Despite having been uncovered in 2003, the mosaics have not been made public until now, said Karabayram. "We have decided to initiate a plan to open the necropolis to public. 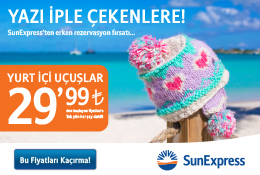 This is Turkey's second Zeugma. It is an incredible cultural heritage, with an enormous tourism potential." Archaeologist Sedef Çokay from Istanbul University said the Okeanos and Medusa mosaics were a first for Turkey. Both mosaics were placed near tombs to protect the deceased, she said. The necropolis within the borders of the ancient city of Perga was private property for many years and was expropriated in 2013.